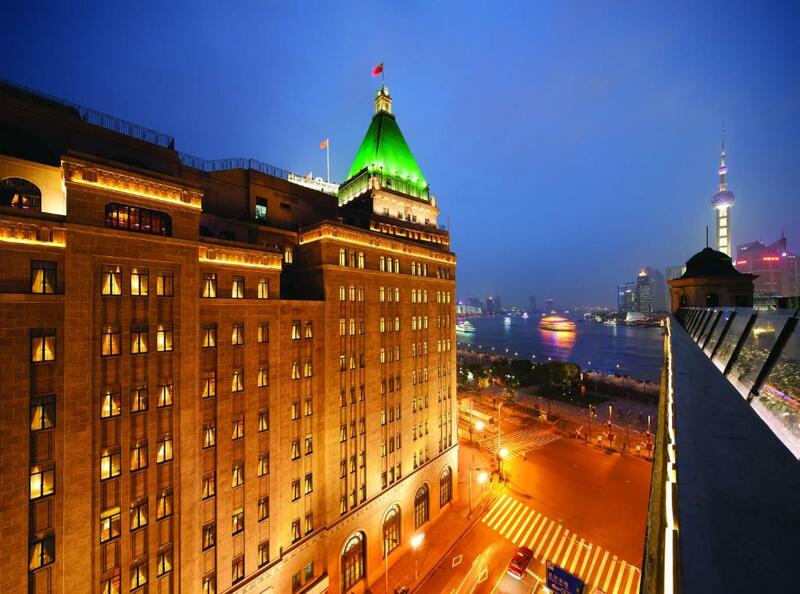 Lock in a great price for Fairmont Peace Hotel On the Bund – rated 9.2 by recent guests! Will give 9/10. Everything is good. But it is far from Halal restaurants. Staff is very good specially Victoria was very helpful & friendly with my kids. Room was very spacious and elegant. Bowl of Asian Pears and numerous bottles of water were standard fare. Coffee pod machine had nice selection of coffee and espresso. Bed was extremely comfortable and the room was very quiet even though the streets were filled with traffic and people. The staff was incredibly kind and helpful. The food was excellent. Immaculate facilities, will definitely be back soon! 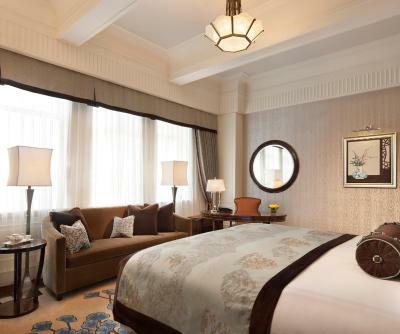 Staying at the Peace Hotel is like stepping into an ultra-fancy time machine and experiencing a little of the luxurious life in 1930s Shanghai. The little things, such as the bed cover turned down, the television turned toward the bed, and the slippers placed neatly beside, among many others. Location is perfect and very central. Loved the hotel, the view from the hotel, the room service breakfast was amazing. Jazz bar is not to be missed. The service is outstanding throughout the hotel. Beds extremely comfortable. Giant over sized bathtubs are wonderful. Exceeded all expectations. Great classic rooms in a historic hotel. Staff worked hard to insure every issue was dealt with completely. Absolute top notch! Everything is awesome including facilities, service with customer focus except there is noise like maintenance throughout the night even until mid night. I'm not usually a luxury hotel kind of traveler so I can't really compare it to other high-end hotels. I stayed one night here for the location and the historic art deco interiors. Everything was gorgeous and sumptuous, from the ornate lobby to the massive bathroom to the fluffy slippers. I stayed in one of the interior rooms (no view) and thought it was well worth the cost! Breakfast at the Jasmine Lounge had a great selection of western and eastern cuisine and wasn't an overwhelming display of excess. The Old Jazz Band was wonderful and has no minimum requirement for hotel guests. Make a reservation for the free hotel tour to learn more about the hotel (Hebe our tour guide was very informative) and see parts of the hotel that most visitors can't access. Gold Lounge (aka executive/club) service is superb. Jeremy helped with check-in, noticed a booking issue, and resolved it quickly. Food staff was attentive and prepared some delicious hot dishes along with the buffet selection throughout the day. A good place to unwind and get work done if you want to be out of your room but not out of the hotel. 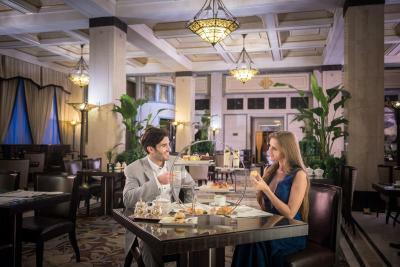 With over 8 decades of history, the iconic Fairmont Peace Hotel was a favorite with the local elite and foreign celebrities, including Charlie Chaplin. 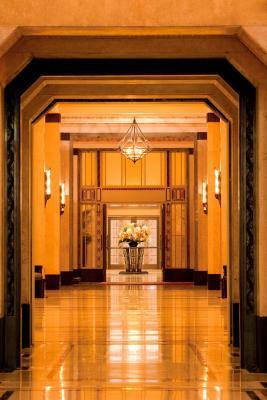 World-renowned Old Jazz Band and lavish art deco styles await guests. The hotel overlooks The Bund and Huangpu River. 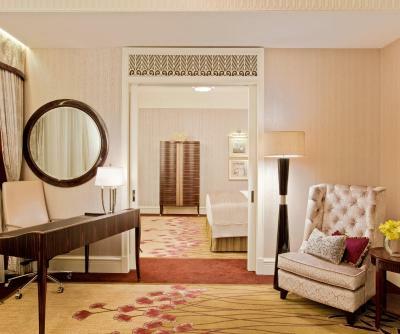 Luxurious rooms at Fairmont decorated in calming pastels feature a DVD player and flat-screen TV. An iPod dock and espresso machine are also included. Private bathrooms offer upscale amenities and a bathtub for a pampering soak. 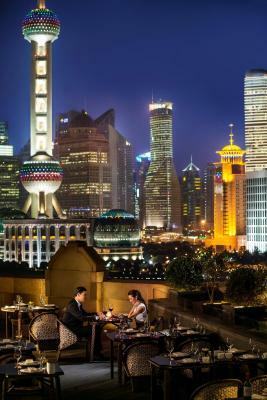 Fairmont Peace Hotel is located right next the Bund and is a 5-minute walk from Nanjing Road Pedestrian Street. 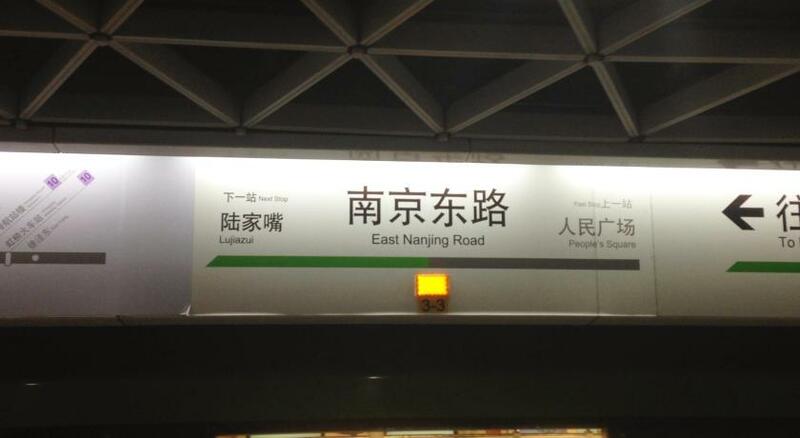 It is a 20-minute ride from Hongqiao International Airport. 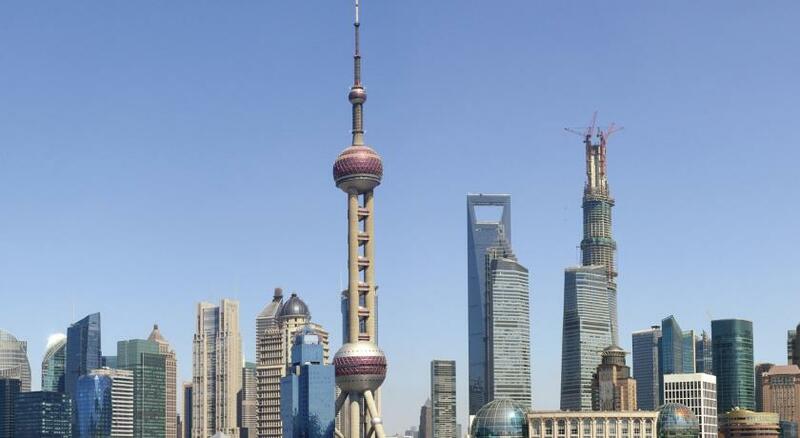 Pudong International Airport is a 40-minute drive away. 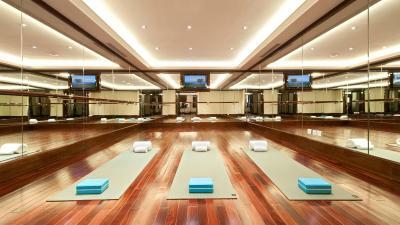 Guests can pamper themselves with a swim in the indoor pool or get a treatment at Willow Stream Spa. Surcharged Tai-chi classes are also available upon reservation. 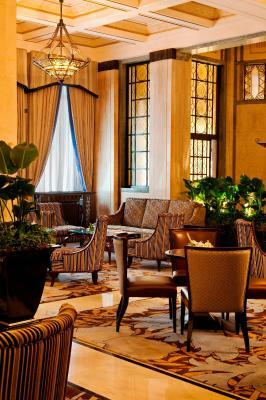 The hotel has a business center and tour desk that takes care of guests’ requests and needs. Free parking is available. 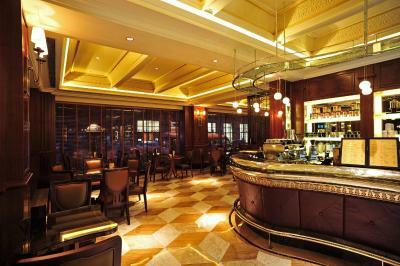 Fairmont has 6 restaurants and bars. 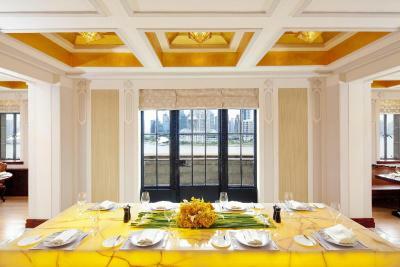 Dragon Phenix presents traditional Shanghainese cuisine. 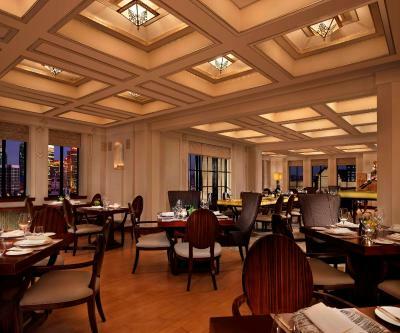 Cathay Room offers casual elegance with accomplished modern European cuisine. 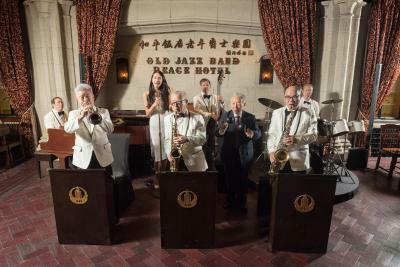 Jazz Bar is one of the most historic live music venues in Shanghai with the world famous Old Jazz Band performing daily. Victor’s offers light cuisine and sweet moments. 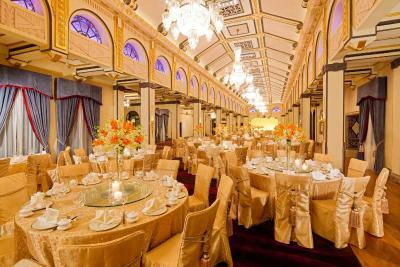 Jasmine Lounge offers the finest afternoon tea, Saturday Tea Dance and Sunday Tea Jazz experiences. 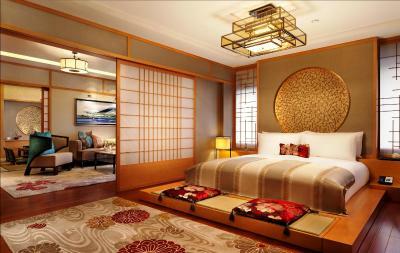 When would you like to stay at Fairmont Peace Hotel On the Bund? 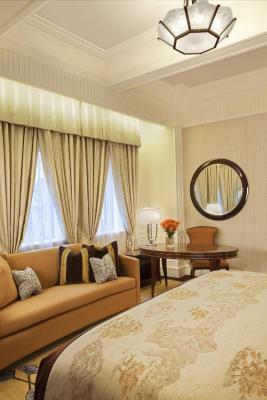 This luxurious and spacious room features classical decor with modern facilities, including a flat-screen TV, iPod dock. An illy espresso machine and dressing table are included. The private bathroom has a bathtub, rainshower and premium toiletries. Spacious and luxurious, this classical suite comes with a separate living room, a walk-in closet and an additional guest toilet. A flat-screen TV, iPod dock are included. Guests can enjoy espresso from the illy coffee machine. The large private bathroom has a bathtub, rainshower and premium toiletries. 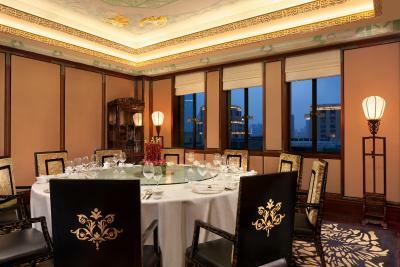 Child aged 0-6 years old can enjoy Private Fairmont Gold Lounge benefits for free, while child aged 7-12 years old will be charged CNY 200 + 15% service charge per person. 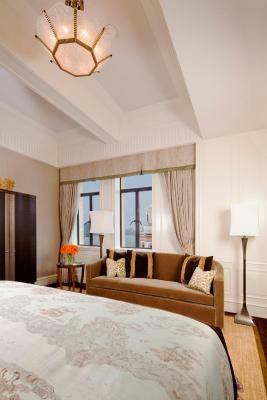 Enjoying city views, this luxurious and spacious room features classical decor with modern facilities, including a flat-screen TV, iPod dock. An illy espresso machine and dressing table are included. The private bathroom has a bathtub, rainshower and premium toiletries. 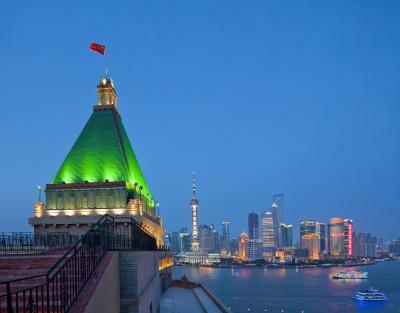 Enjoying views of Huangpu River and The Bund, this spacious suite comes with a separate living room, a walk-in closet and an additional guest toilet. A flat-screen TV, iPod dock are included. Guests can enjoy espresso from the illy coffee machine. The large private bathroom has a bathtub, rainshower and premium toiletries. This twin/double room features a sofa, bathrobes and electric kettle. Child under 6 can enjoy Private Fairmont Gold Lounge benefits for free, while child aged 7-12 years old will be charged for enjoying the benefits. This twin room features a tile/marble floor, air conditioning and hot tub. This twin room has an electric kettle, iPod dock and sofa. Offer free club lounge benefits and subject to availability. This twin room features a flat-screen TV and seating area. This double room features a tile/marble floor, seating area and mini-bar. This twin room has a electric kettle, mini-bar and soundproofing. This twin room has a hot tub, satellite TV and mini-bar. 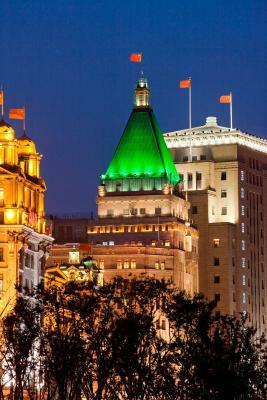 Shanghai’s legendary hotel address since 1929, Fairmont Peace Hotel is a cherished city landmark set on The Bund. 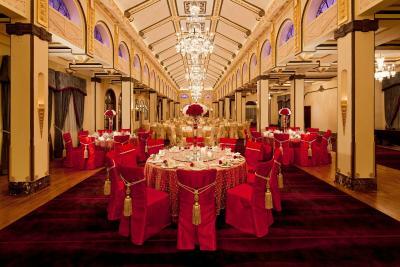 One of the city’s most sought-after properties, this global hotel icon combines historic grandeur with modern amenities. 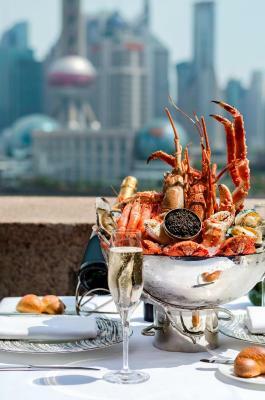 House Rules Fairmont Peace Hotel On the Bund takes special requests – add in the next step! All children under 12 years are charged CNY 403 per night for extra beds. Any additional older children or adults are charged CNY 403 per night for extra beds. Greatwall Fairmont Peace Hotel On the Bund accepts these cards and reserves the right to temporarily hold an amount prior to arrival. 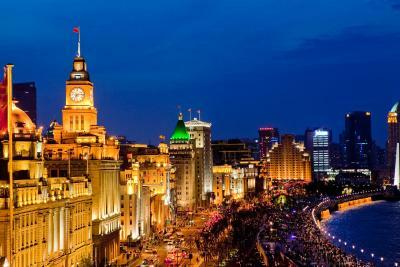 Fairmont Peace Hotel On the Bund accepts these cards and reserves the right to temporarily hold an amount prior to arrival. Guests who book 10 rooms or more will need to pay deposit of the full amount. The property will contact you after you book to provide any bank transfer instructions. Any changes must be made 7 days before arrival. I wish that the staff would ask whether I wanted them to carry my luggage or not before grabbing without asking. It is plain rude. I travel light and I am not an invalid. I have sensitive and valuable materials in my bags that I don't want just anyone to disappear with them. it's far from Halal restaurants. Very few dishes for vegetarians in breakfast. Breakfast was good. Covered all the bases. The only thing that could have been better was if we had been able to spend more time at this beautiful property. 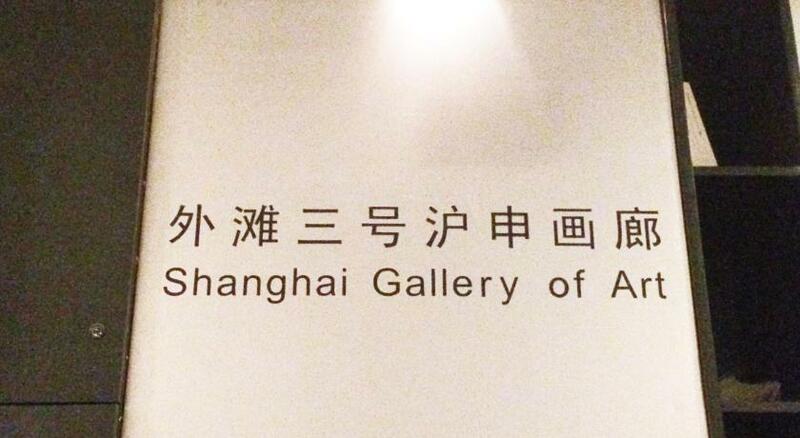 We had just one night in Shanghai which is definitely not enough. Everything was well arranged and the staff were very kind! Staff was really nice and helpful. Can borrow umbrella from front desk and leave luggage with hotel after checked out. Fast internet. Amazing location. Buffet was pretty good too. Highly recommended! Beautiful historical hotel. 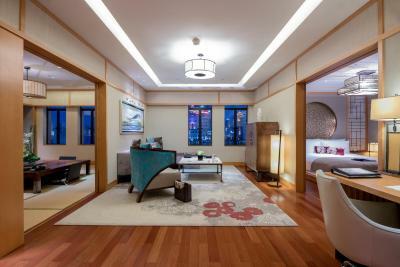 Excellent location by the Bund and near Nanjing Road. I would recommend the Suite with river view. Spectacular view both day and night. Special thanks to Mr. Harrison Mott who looked after us to make our stay memorable.